What was life like in the U.S. 108 years ago? 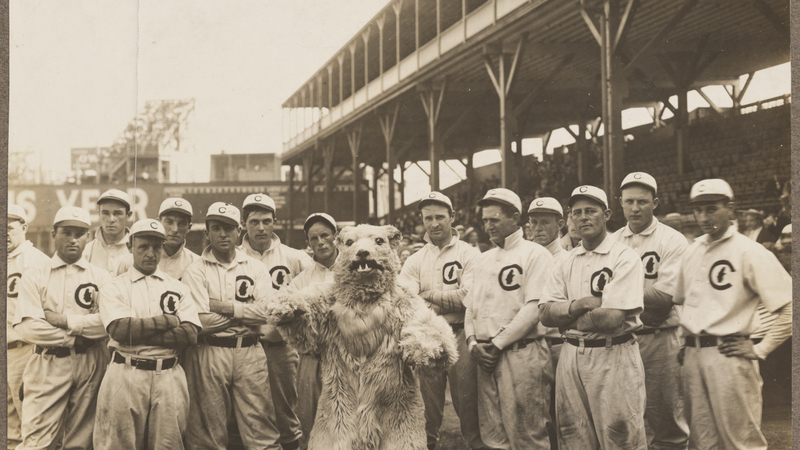 Chicago Cubs team with Cubs mascot in 1908. I'm trying not to get ahead of myself here but I keep hearing that the last time the Chicago Cubs won a World Series was 108 years ago. That would be 1908. People couldn't listen to the game in 1908. There was no radio. There was a primitive wireless system but it is doubtful that there were any sports broadcasts. Of course, they couldn't watch the game unless they were at the park since there was no TV or Internet. Newspapers ruled--that and word of mouth were the only way people could get their news. Chicago had 5 dailies. People didn't tweet. Only the birds tweeted. Horse and buggies were the most popular form of transportation in 1908 but things were about to change big time with Henry Ford producing his first Model T automobile in Detroit, Michigan. ...And Wilbur Wright making his first flight. And you think you are underpaid. In 1908 the average worker earned 22 cents per hour. Theodore Roosevelt was US President--wonder what he'd think about this year's Presidential race. The Burnham Plan or the Plan of Chicago was still a year away (created in 1909). Fred A. Busse was the mayor of Chicago. The average life expectancy in 1908 was 47 years. Only 14 percent of U.S. homes had a bathtub. Hello! Only 8 percent of the homes had a telephone. And you think things are slow now. In 1908 the maximum speed limit in most cities was 10 mph. Sick! Ninety percent of all doctors did not have a college education. "Take Me Out to the Ball Game" was written by Jack Norworth and Albert Von Tilzer becoming the unofficial theme song of baseball. In 1908 if you wanted to see a movie you could only see a silent film. Popular in 1908--"The Adventures of Dollie," or "After Many Years." Sweet! Sugar cost four cents a pound. There were no Starbucks, but you could make your own coffee for fifteen cents a pound--break that down to cost per cup. In 1908 there was no Google or even googol—the term meaning a number equal to 10 to the 100th power—that the Google name was created from. That wasn’t a word until the 1930s. In 1908, an apple was something you picked from a tree or bought at the corner market not the Apple Store. Most women only washed their hair once a month. There were 230 reported murders across the entire USA in 1908. AND 1908 was the last year the Cubs won a World Series!